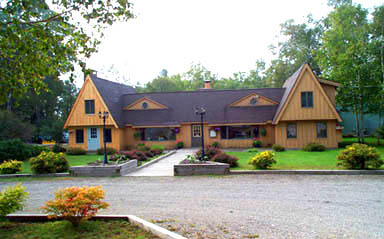 The Snowy Mountain Inn is a chef / owner operated facility that offers Bed & Breakfast lodging, cottages and a "guests only" dining room featuring Real Pit Southern BBQ and home cooking. Our secluded cottages have Adirondack style interiors with lake and mountain views. 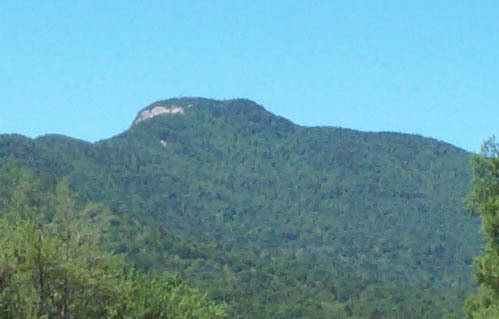 We are centrally located within the Adirondack Park, making day trips in any direction a pleasure. 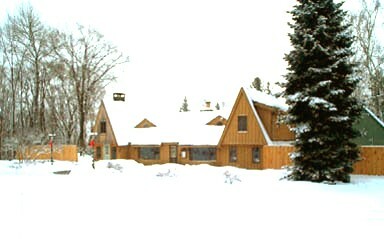 The Inn is located on Route 30 (Adirondack Trail Scenic Highway), 6 miles south of the hamlet of Indian Lake, New York. The property is on a plateau (elv. 2000') at the base of Snowy Mountain (elv. 3995') overlooking Indian Lake. 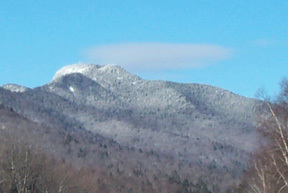 "Snowy" is the highest mountain outside of the High Peaks Region. The Adirondack Smokehouse Barbecue Company serves "Real Pit Southern Barbecue with a Northern Touch." This means using readily available northern Oak wood to create a light amount of smoke that enhances the specially blended spice rubs on each food product. The Adirondack Smokehouse Barbecue Company is available for catering year round. Even though we specialize in "Chicken & Ribs" BBQ and "Pig Roasts", we are full service caterers for off premise catering. Our Oak smoked Prime Rib, Steaks, Lamb, Pork Chops and Duckling are an outstanding taste experience. After living and traveling in all of the southeastern states for over 20 years, we thought it was time to come back home to the mountains and bring traditional southern BBQ to the Adirondacks. Food is a common denominator in all parts of the world. If it tastes good, most people will like it regardless of their ethnic or regional background. Northern people are no exception, they love BBQ, even though they tend to associate it with "grilling". Therefore, it wasn't really difficult to introduce them to open and closed pit barbecue cooking. Most people don't have a problem with the taste of wood smoke in their meats, just as long as it isn't too strong. There is also a vast difference between natural smoking and commercial production smoking. Here at the Inn we do everything nice and easy and natural, using Oak wood harvested right here on the property. Pecan wood is the sweetest and lightest flavor of southern pit cooking. The northern counterpart is Oak. If you are looking for a nice, clean place to stay in the mountains and enjoy some great Real Pit Southern Barbecue, the Snowy Mountain Inn is for you. Check out our lodging info and Moose activity while at this site. Contact the Inn if you need more information about staying here in the Indian Lake, Speculator region of the Adirondacks. This web site is constantly changing, so don't forget to reload (refresh) your browser each time you visit. There will be more Adirondack Photos and Snowy Mountain Inn Photos , plus information about the Snowy Mountain Inn, Adirondack Smokehouse Barbecue Company and Adirondack Moose Central, added on a regular basis. Adirondack Moose Central is a very interesting and informative place to visit if you love wildlife. 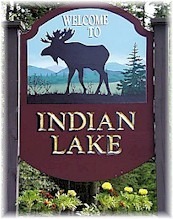 For the history buffs, please check the Indian Lake Historical website for interesting info and old timey photos. for types of accommodations, pricing, availability and reservations.